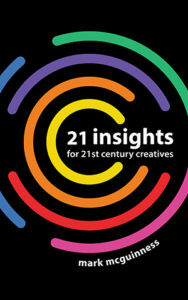 EDIT: I’ve now expanded the insights from this article into a book: 21 Insights for 21st Century Creatives. You can pick up the ebook edition for free here. 21 years ago I started to notice a pattern in my psychotherapy practice. Mixed in with the people consulting me for anxiety, depression, work-related stress, relationship conflict, and a host of other problems, was a different category of client. The actor with stage fright. The novelist with writer’s block. The creative director dealing with the stresses of agency life. The entrepreneur on the emotional rollercoaster of launching a business. Because I was a poet, I found it easy to relate to these clients, and there was a particular energy and intensity to these sessions. Clients walked away full of excitement, and came back to report big changes. They told me they had never experienced this kind of work before, and encouraged me to keep at it. I came to see that most of them didn’t really have a mental health problem, in the clinical sense. As creative professionals, their work involved what Seth Godin would later call emotional labor. Because they put their heart and soul into their work, it made sense to work on their heart and soul. This autumn it struck me that this is my 21st anniversary as a coach. In many countries, 21 is considered the age at which you become an adult, so it seems like a good time to reflect on the past two decades, and share some of the key insights that have emerged. So here are 21 insights from 21 years of helping professional creatives deal with the stresses and strains, joys and jubilations, of the creative life. If you don’t love your work, you can forget it as a creative. 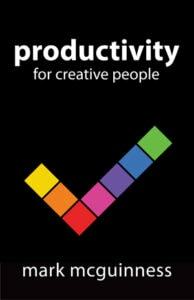 Psychologists talk about intrinsic motivation and tell us it is ‘proven to be highly correlated with creativity’. But let’s call a spade a spade: it’s love. You can probably remember the day you fell in love with your creative work; the butterflies in your stomach, your heart leaping, the sense of a whole new world opening up before you. And like all love affairs, it’s probably been a rocky road, with plenty of friction and suffering along the way. Maybe even a breakup or a trial separation. But you always come back, because this is the love of your working life. It’s easy to neglect this love, with all the other pressures and demands on your attention. Especially if you work in a non-commercial art, where the rewards are not obvious as the risks. But if you neglect your true love, it will poison everything else in your life. And it’s not just about the work. In the course of your career you will connect with many people – teachers, peers, partners, clients, customers and others. If there is no love in these relationships, if they are driven by fear, competitiveness and bitterness, is that really how you want to spend your days? And is that really how you will produce your best work? So make sure you work with people you can respect and admire – and yes, even love. Wake up every day doing work you love, with people you love. What more could you ask of your work? We’re not here for long. So why aim low? It’s so tempting to play it safe and aim for excellence in a familiar sphere. But by playing it safe, you risk selling yourself short. My best poems are often written from a place of thinking ‘This is ridiculous but I can’t resist trying it’. He’s generally considered the second greatest poet in the English language, after Shakespeare. So who was I to start translating his masterpiece, Troilus and Criseyde, into modern English verse? But I couldn’t resist… and I persisted, and was eventually awarded third prize in The Stephen Spender Prize, the UK’s biggest prize for poetry translation. Fabrice Bourrelly is designing the future of virtual reality for the likes of Google, Thomas Heatherwick and Epic Games. Jane Armstrong just emailed me to say she’s won a major grant for her writing, from the National Endowment for the Arts in the US. Josh Zepps took time out from his day job as a TV presenter to launch We The People Live, a podcast that has repeatedly topped the iTunes comedy charts. Nick Dunin is on a mission to change the world by building a network of floatation tank centres. Laurie Millotte launched Outshinery, an innovative business serving the wine industry, from her laptop while on a year-long round-the-world trip. Steve Fudge coaches elite sprinters to win medals and break records. Daniel Boettcher created a unique piece of jewelry, by persuading one of the finest goldsmiths in Japan to design a necklace for a two-times Olympic champion judoka. Emily Kimelman established herself as a best-selling thriller author while travelling across the US in an Airstream. Javier Weyler has played drums with Stereophonics, Phil Manzanera and Zak Starkey among other artists, in between making his own albums and creating soundtracks for movies, commercials and documentaries. Cornelius Frey quit his job as a successful consultant to found Opinary, a platform for sharing and tracking opinions used by Bild, The Times, NBC, Frankfurter Allgemeine, The Guardian, Toyota and Deutsche Bank. All of them, like Aileen Bennett, are creating a job that doesn’t exist, in order to create things that have never been done before. When we look at what others have achieved, it’s tempting to put them on a pedestal and say they’re, lucky, or naturally talented, or well-connected, or to find some other way to distract ourselves from our own dreams. But I’ve seen up close what it takes to create something extraordinary. Mixed in with a lot of hard work, self doubt and determination, there is one quality we can all express if we choose: daring. When you dream a big dream, it will enchant you and sparkle with anticipation. New vistas will open up before you. Promises will beckon you forward. But once the initial rush of excitement has passed, you start to think of all the things that could go horribly wrong. And the fear kicks in. Mother Nature provided us with fear, so let’s assume she knew what she was doing and work with what she gave us. When you set yourself a big challenge, you should expect the fear to rise up before you. You should look out for it and even welcome it – because if you don’t experience much fear, it’s probably not much of a dream. Paradoxically, the fear is less intense if you don’t resist it. As John Eaton likes to point out, the message of fear is NOT to run away and hide, but to be alert, to face your challenge, and deal with it. When you do that, the fear subsides as naturally as it arose – and your dream is still beckoning you forward. When I started out, creativity was the risky option. I took it anyway, and paid the price with years of struggle compared to my friends who took the sensible jobs. But the world has changed. Those sensible jobs don’t look nearly as secure as they did 21 years ago. Globalisation, outsourcing and automation have already gobbled up millions of blue-collar jobs, and now they are starting to gnaw at the white-collar positions. No wonder some people are proclaiming the end of jobs. The rise of the creative economy means that creativity and innovation are essential sources of competitive advantage and economic prosperity. So far, humans have been more creative than machines, so jobs involving ‘genuine creativity, such as being an artist, being a scientist, developing a new business strategy’ are considered to be safest from the robots. The most successful and fulfilled creatives I’ve worked with embrace change and reinvent themselves in response to it. They don’t sit around moaning about how the internet has disrupted their industry, or government funding for the arts has been slashed, or or publishers don’t pay big advances any more. The traditional career ladder never worked for people like us, and now it’s not even the safe option. So what’s the alternative? How can we measure our success, and thrive creatively, professionally and financially in this brave and risky new world? By creating assets that will increase in value over time, bring you opportunities, and make it easier and easier for you to create more, earn more and achieve more. Your portfolio of creative work is an asset, so should always be your top priority. Keep creating work you are proud of, even if it has no perceptible financial value, and you may be surprised how many ways it will add value to your life and your career. As well as the work itself, you also own the intellectual property rights in the work – which you can license, sell and or otherwise exploit. There’s also a whole category of social assets – your brand, your network, your website, your mailing list and social media profiles; all of these allow you to connect with people, to delight them, to serve them, and to get things done in outsize ways. Other types of asset include skills, systems, business models, companies and product ranges. Life is very different when you have a back catalogue of great work, a popular product range, an audience for your ideas, a network of great collaborators, and/or a string of lucrative licensing deals. In the long term, creating and owning valuable assets will give you far more security than any job where you can be sacked or made redundant. So I encourage my coaching clients to create the kind of assets that will help them achieve their artistic, professional and financial goals. As a creative professional, your most valuable asset – and potentially your biggest liability – is always yourself. You can lose your money, your job, your business, even the copyright in your work, but you can always create more of all of these things – as long as you don’t lose your creative Mojo. So working on yourself, building your skills, your motivation, your mindset and your resilience, is the smartest investment you can make in your creative career. Every year, I invest time and money on training, coaching, books, and other resources – to learn new skills and improve the ones I already have. I’m a learnaholic, so I’d do it regardless of the payoff, but when I look back on the last 21 years, the time I spent learning looks like the most valuable time in my working life. From this point of view, even a spiritual practice like meditation, or an exciting trip to an exotic destination, or learning a new language, or learning the hard way from rejection or failure, helps you in your career, because it can make you a richer, more creative, wiser and more compassionate person. And it works the other way round – every time your learn a new professional skill, such as public speaking, sales, marketing, negotiating, or financial literacy, it forces you to grow as a person. For years it felt like my poetry and my career were fighting a duel to the death. Time spent on poetry felt like an indulgence when I was struggling to earn a decent living. Time spent on my business felt like neglecting my true calling. My coaching supports my poetry, by providing time and other resources to practise my art. And I wouldn’t be the kind of coach I am without the poetry. It’s one of the things that makes my kind of client want to work with me. Over and over, I’ve seen the same pattern with my clients: your unique brand of struggle and suffering, the very thing that has dogged you and resisted you for years, may contain a clue to your superpower – the thing that marks you out as unique, and helps you achieve things you’d never have thought possible. Sometimes we say ‘Money doesn’t matter,’ but deep down we know this is not true. It may not matter in the same way love, art and world peace matter, but that’s beside the point. It may not matter in the way we’d like it to – with artists and nurses being paid as much as bankers and property developers – but that doesn’t mean it doesn’t matter. If you’ve ever lain awake at night worrying about how you will pay next month’s bills, then you know money matters. If you’ve ever said ‘no’ to a wonderful experience – such as a holiday, a day at the spa, or a meal with friends at a nice restaurant – because you couldn’t afford it, then you know money matters. If you’ve ever sold something you’ve created yourself, then you know money matters. If you’ve ever been paid a lot of money for one of your creations and seen the buyer’s face light up with pleasure-then you know money matters. No, it will never take the place of your creative passion. But it can support and enable your art – by providing you with the time, equipment, materials, fulfilling experiences and freedom from mundane worries you need to produce your best work. So don’t put money on a pedestal. But don’t look down your nose at it either. I often hear creatives talk about ‘working for love’ versus ‘working for money’ as if the two were mutually exclusive. They aren’t. But agonising over this false dichotomy is a great way to hide from your next big challenge. All successful creative professionals have mixed motivations for their work – there’s an art to balancing them so that they reinforce each other instead of getting in each other’s way. This is the ‘doing it for love part’. The psychologists confirm what we know in our hearts: intrinsic motivation is highly correlated with creativity. So if you are creative, enjoying yourself is part of the job! The ‘doing it for money’ part. It’s not just about money though – fame, reputation and opportunity are other big rewards on offer for creatives. Research shows that thinking about this stuff while trying to make art will kill your creativity. But you need to factor it in at some stage, if you want your career to be sustainable. This is what drives you as an individual – things like adventure, beauty, compassion, justice, pleasure and power. Lose touch with your values, and you experience all kinds of dissatisfactions, obstacles and even mental and physical health symptoms. Staying true to yourself is a biological as well as a creative necessity. You may like to think of yourself as a unique and special individual, but your thoughts and actions are influenced by other people every day. Competition, collaboration, commitment, tradition and rebellion are just some of these influences, which can be positive or negative. So think carefully about who you let into your life! For a successful creative project, career or business, you need to harness all four motivations – if one or more are missing, sooner or later they will trip you up. These days we hear a lot about what the academics call disintermediation – the removal of barriers to publication in the creative industries, so that instead of kowtowing to gatekeepers (editors, publishers, record labels, movie studios) creators are now free to publish and promote their work themselves. In this brave new world, we are told, only fools and fuddy-duddies would sign a book or record contract, or apply for representation by galleries or agents, rather than selling direct to their audience online. But what if you know for a fact that the people you want to reach still look to the gatekeepers as imprimaturs of quality? People who spend a lot of money on art tend to spend it with galleries, collectors and auction houses, rather than Etsy or artist websites. Readers of literary novels are often wary of self-published books. And there are even people who still watch television on televisions. Or what if you’ve always dreamed of being signed by your favourite record label or book publisher, or having your own TV show, or directing a Hollywood movie? Should you give up on your dream and turn to Facebook and YouTube instead? Not if you ask me. I think you should play whatever game you want to play. Just make sure you’re clear about why you’re playing it. If you really want to sign a book deal, or wait in line for a part in a movie, or hassle your agent to get you on TV, or network with the right people to get your art shown in the right galleries, then go for it. And if you want to do it yourself, by starting your own blog or podcast, or self publishing your novel, or putting your album out on Bandcamp, then go for it. If you’re in this boat, you probably don’t care what the New York Times critics or the people nibbling canapés at the private view think of your work. You probably relish the money and control more than their approval. Just be mindful that no creator is an island, and don’t complain if Amazon/Google/Facebook change the rules overnight and make a dent in your plans. Or maybe you’re a hybrid creator, looking to mix and match the best of both worlds, using the traditional channels when they work for you, and the direct approach when they don’t. To me, the exciting thing about the 21st-century isn’t the fact that all the old media and gatekeepers and business models have vanished overnight, and been replaced by shiny new digital alternatives. It’s the fact that as creators we now have many more choices about how we make our work and get it out into the world. So play the game you want to play, whatever anyone else says. And remember they are all games, so don’t forget to enjoy yourself! You (probably) can’t have everything. If you sign with a publisher, you give up most of the income from your book. If you self-publish, some people will look down their noses at you. If you work with a gallery, you could find yourself at the mercy of the owner’s neurosis. If you sell your art from your website, you may not sell very much art from your website. If you write avant-garde experimental poetry, you probably won’t become world-famous. If you become world famous, people will queue up to say this proves you’re not a real artist. Yes, you can and should choose what game you want to play. And whichever game you pick will give you a shot at one kind of reward, and very likely exclude another. Peter DeVries once quipped ‘I love being a writer. What I can’t stand is the paperwork’. Joking aside, whatever creative field you choose, there will be a part you can’t stand. If you’re a performer, it may be the hours and minutes before you go on stage or on camera. Or the spite of gossip columnists, or the intrusions into your personal life. If you’re an artist of any kind, it may be the endless hours of loneliness, procrastination and self-doubt. Or the carping of critics, or the indifference of the public, or the infighting and backbiting of your peers. If you’re a commercial creative, it may be the demands and ingratitude of your boss, your clients, your team, and/or your business partner. Whatever your field, the crappy part will likely have more to do with people and politics than the work itself. If you’re an amateur, you’ll use the crappy part as an excuse to avoid showing up, challenging yourself and committing to make something great whatever the circumstances. But if you’re a pro, you’ll spot Resistance lurking in the crappy part, using it to distract and derail you. So you’ll resolve to succeed in spite of the crappy part – by ignoring it, or learning how to deal with it effectively. Mainly this happens when you find work you love so much you’re prepared to put up with the crappy part. But it also comes with the realisation that whatever path you pick, there will always be a crappy part – so at some point you’re going to have to deal with it or give up altogether. And you’re never going to do that, are you? If you want to do something amazing, the good news is, somebody somewhere has done something like it. So you can save yourself a lot of time, effort and suffering by tracking them down and learning from their example. I’ve been blessed with a series of world-class mentors – John Eaton in psychotherapy, Mimi Khalvati in poetry, Brian Clark in online marketing, Steven Pressfield in writing about the creative life, Peleg Top and Rich Litvin in coaching, Kristin Linklater in speaking poetry. I will never surpass any of them in their chosen field, but I don’t have to; I’m on my own path, and the point of mentorship is to take what you can from your teacher and apply it in your own way. When you have multiple mentors, a lot of the value you create comes from your unique blend of the different influences. I say I’ve been blessed with these mentors, but it wasn’t entirely down to luck – in every case I either reached out to the person directly, or I did something that got me on their radar and led to a connection. So whatever you set your mind to, make it your mission to learn from the best in the world. Ongoing – work you have to do every day, every week or every month. Events – work related to one-off events, or events that happen at longer intervals than a month, e.g. an annual conference. Backlogs – things you wish you’d done already, and need to catch up on. Creating assets – investing time in creating something that will generate ongoing value in the future. It feels good to clear a backlog, and great to take part in an exciting event. But over the long term, nothing will add more value to your creative career – artistically, financially, energetically, or emotionally – than creating assets. So make it a priority, not a pipe dream. The Inner Critic gets a lot of bad press – Google the term and you’ll find plenty of advice on how to ignore, banish, silence or obliterate your Inner Critic. But if you think about it, you’d be in big trouble without an Inner Critic. If you didn’t have this internal quality filter, you’d be happy to churn out any old rubbish – and join the ranks of mediocrities. Your Inner Critic is the part of you that wants you to do your very best, and won’t be satisfied with anything less. But all too often you lose touch with this intention, and the Critic degenerates into a nagging Grouch. A finely honed critical faculty is one of the things that separates a successful professional from the legions of amateurs. When you can look at your work-in-progress and see clearly what needs fixing, it will help you get better every working day. By consciously developing your critical faculty, you take ownership of it, so that it ceases to be a nagging voice at the back of your mind, and starts to be an integral part of your creative process. If I had a bitcoin for every client who has told me ‘I’m really good at my work, so why am I struggling?’ I could fund a manned mission to Mars. If you’re a maker or performer who says ‘I just need someone to deal with the business side of things, while I get on with my work’, or a creative service provider who says ‘Just put me in a room with a client, and I’ll get on with the job’, you are kidding yourself. Dealing with the business side of things is your job. Getting in the room with the client is your job. Hustling – i.e. engaging with people and making things happen – is your job. Yes, you can get great people to help you. But handing over ‘the business side of things’ lock stock and barrel to someone else is asking for trouble. Until you accept this, you will suffer and struggle. The sooner you accept it, and the better you get at it, the sooner you will taste success and the more rewarding you will find it. Yes, I know it’s hard and you would rather be doing other things. Maybe you don’t feel you are a born communicator. Tell me about it! As an introverted British poet, I felt I couldn’t be less suited to hustling. But I made it my business to learn – and to find ways of doing it that are authentic for me. If I can do it, so can you. You create your own reality through the words you speak, the words you write, and even the words you think to yourself. As long as you tell yourself you ‘have to earn money’, you are living in a world of hard work, drudgery and suffering. Money is tied to effort. So it feels somehow wrong to earn it without putting in a lot of effort. And you can easily – and mistakenly – assume that simply working harder will bring you more money. But if you forget about earning money and focus on creating value, you enter a different world. A world where your income is not tied to the effort you put in, but to the value (emotional, experiential, practical, financial) you create for others. A world where a single painting can be sold for millions of dollars, where a single song can touch millions of hearts, or a single book can change millions of lives. One of the many wonderful things about being a creative is that there is virtually no limit to the value you can create for others, and therefore potentially no limit on the money you can generate. Just look at the money created by the most successful painters, designers, actors, musicians, authors, architects, entrepreneurs and other creatives. So forget about ‘earning money,’ it feels too much like drudgery. It’s also too selfish, because it’s all about you – your effort, your money. Instead, focus on creating value – a.k.a. what you can do for others. Once upon a time a small business was a local business – your local corner shop, restaurant, gallery or garage. International businesses were big businesses, with fleets of cars, ships and planes. The reception at head office proudly displayed clocks showing the times in London, New York, Hong Kong and Tokyo where their branch offices were located. For a while, ambitious small businesses went through a phase of pretending to be bigger than they were, with corporate-sounding brand names, and websites that said ‘we’ even when there there was only one person behind them. One big exception to this pattern were the creators who became international stars – bestselling novelists, rock stars, TV and movie stars. These days, you don’t need to be a big business or an A-lister to have a global audience or customer base. And you very likely can’t rely on your local economy to support you. I’m not remotely famous and I deliberately keep my business small – it’s just me, my Mac, a handful of carefully chosen clients, and a handful of carefully chosen collaborators. Yet many of those clients and contractors live on the other side of the world to me. And when I hit ‘publish’ on this blog post, it will be mailed out to thousands of readers all over the globe. I’m proud to have created what Russell Davies calls a global small business. And grateful too – without the internet, and without other adventurous and global-minded creatives, it would be impossible for me to do this. Keep your enterprise small and you retain your freedom. Making it global can bring you opportunity and security. I’ve lost count of the number of clients who asked me to help them become more confident – on stage, in front of clients, with money, when meeting new people, in their work, and so on. My answer is usually to forget confidence, and tap into your enthusiasm. Confidence is all about you – ‘Do I feel confident? Do I look confident? Do I sound confident?’ – so the more you think about it, the more self-conscious and the less confident you feel. But enthusiasm takes you out of yourself – when you feel enthusiastic about something, you want to work on it, so you feel energised. You want to share it with others, which is infectious. You get fired up by it, which means you come across as not merely ‘confident’, but also engaging, charming – and maybe even inspiring. So next time you start worrying about confidence, forget it, and focus on the work or the topic in hand: What do you love the most about it? Why does it matter to you? My life changed the day I realised I could have all the excuses I wanted – and I didn’t want any of them. I was struggling to drum up business, caught in a seemingly endless cycle of rejection and disappointment, and running out of money and self-belief. After yet another dispiriting phone conversation with a prospect who had turned into a time-waster, I realised I had every excuse to give up. I could tell my then-business partners I’d done my best, that it was simply too difficult, taking too long, and they would totally understand. They’d be sympathetic and tell me how much they respected me for trying. I could count on plenty more sympathy from my girlfriend, my friends and my family. No one would blame me for giving up. I saw that I had plenty of excuses to hand – but at that moment, I realised I didn’t want the excuses, I wanted to succeed. And I was going to do whatever it took to make it happen. Which I (eventually) did. If you ever get to the point of giving up – on a creative project, on a business, even a career path – remember, you can always find an excuse to give up. And there’s no shame in changing your mind. Just make sure that giving up is what you really want to do. When was the last time your heart was in your mouth as you started to write? Or you opened your mouth to speak? Or you stepped out on stage? Or you hit the ‘publish’ or ‘send’ button? If you can’t remember, or if the answer is ‘It’s been a while’, then maybe it’s time to rediscover your courage. Because maybe the problem isn’t the quality of your work, or the value of your services, or your branding, or your website, or your network, or any of that other stuff you’ve been trying to fix. Maybe you’ve simply been playing small, out of fear. The bigger the dream, the bigger the fear, remember? So why not set out on a fear safari, and start hunting for the fear in your everyday life – at your desk, in conversations, in front of an audience, when you’re one-on-one, when you’re all alone? And when you find some fear, big or small, congratulate yourself. Because you’ve just discovered your chance to step up and be braver, right this instant. I received such enthusiastic feedback on this article that I turned it into a book 21 Insights for 21st Century Creatives. I deliberately kept the book short, so that you can burn through it in one sitting for a burst of inspiration. Or keep it handy on your phone and consult it in the quiet moments of your day, or on those days when you need to dig deep for motivation. You can pick up a free copy of the ebook edition here. I’ll be taking this along on our next long drive to have Best Beloved read it to me and help me see myself more clearly. Far too much good stuff to absorb in one sitting. I know in my head this is true. I try to think about it and my brain shuts off. Thanks Joel, I hope it gives you both food for thought on the road! Love this post! It contains exactly what I need to hear at this particular moment in my journey. I am struggling with many of these – #1 Hit me squarely! #4 was an eye opener and by the time I got to 6 and 7 I was in tears. I know what I must do. Thank you for this timely posting!!! Thank you Virginia, I’m glad it was timely for you. I do not remember how many years I have been following your work, but it has never ceased to amaze me and inspire me to grow my own. Your generosity and your insight have been instrumental in my career as a blogger and for that, I am so grateful: thank you, Mark! Thanks Otir, it’s always great to hear what you do with the ideas I put out there! Thank you again, what an incredible post! I will keep re-reading this all year. Thank you! That’s a great poster. Great article, with many great lessons and insights. You could turn this into a wonderful 21-day-email-series with a daily advice. And if you are going to create this: I would love to read this again, day-by-day, to let all the great lessons sink in more deeply. Thanks for sharing these insights with us, they are very valuable! This was really helpful and I’m sure I’ll come back to it often. Thank you. There are 3 insights that really speak to me! #7 “Your struggle is a clue to your superpower” gives me some hope–and something to really look at. #12 “Don’t let the crappy part put you off.” I’m wondering now how often I let the crappy part serve as an excuse to either avoid showing up or to jump ship??? #13: “Learn from the best.” I like what you said about taking bits from other masters and creating your own unique blend. Good reminder not to fall into the comparison trap! SO much insight here. Thanks, Mark! My pleasure Jen, great to see you using the insights to reflect on your own practice. Oh! Arrow to the heart! Time to put something on the back burner for a while……. This is great. I’m thrilled to read a written article from you again! #1 and #17 about the deeper context for why we should do something. #17 is about building something meaningful and not just reducing your life to a number like your bank account. You stop chasing a number, and you start imagining new potential aspects of the world, surprising new ideas, new skills, new assets, new stories. You build something and it becomes more than the worth of its components. #18 about staying small. Getting deep and personal with your true crew and carefully-selected tools. Thank you Chris. I hope the insights are helpful pointers for a creative 2018!